He has over 20 years of experience as a Cancer neurosurgeon. He has a special interest in Spine & Neuro-onco surgery. 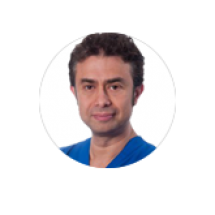 He is a Chair of Postgraduate Education Committee of The European Association of Neurosurgical Societies EA and a member of the Examination Committee in European Board of Neurologic Surgery Examination.